I seriously love the Eastern Palace product bundle. I keep finding new ways to use the stamps together to create beautiful cards!!! Here's a tip from Lyssa Zwolanek from Song of my Heart stampers blog. She showed how to stamp this image once, twice or three times to create a new look for the image. Which is your favorite? 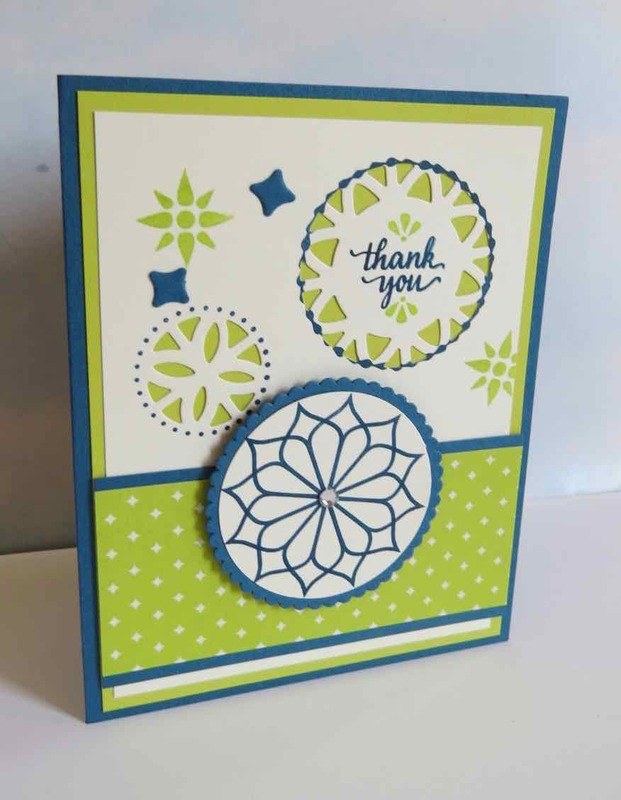 I decided to stamp it twice and punched it out with the 2"circle punch and layered it onto a scalloped oval from the Layering Circles Framelit set #141705. I used the new Lemon Lime Twist in-color along with Dapper Denim and Very Vanilla. To make this card, you need the Eastern Palace Premier Bundle #147207. Look at all the supplies you get!!! 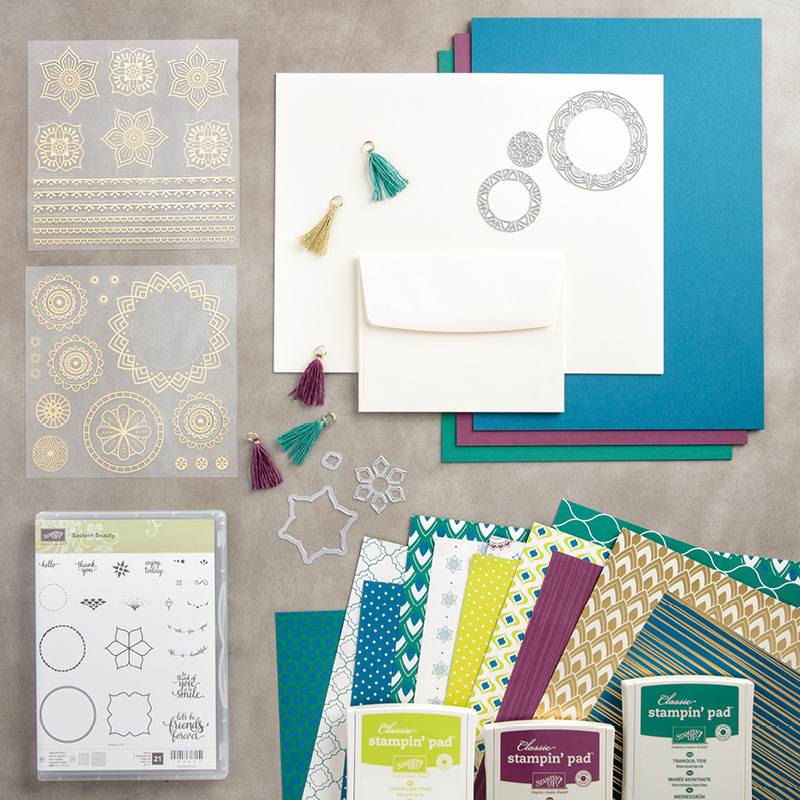 I'm offering a free card class or a kit to go when you purchase this bundle from my stamping store.